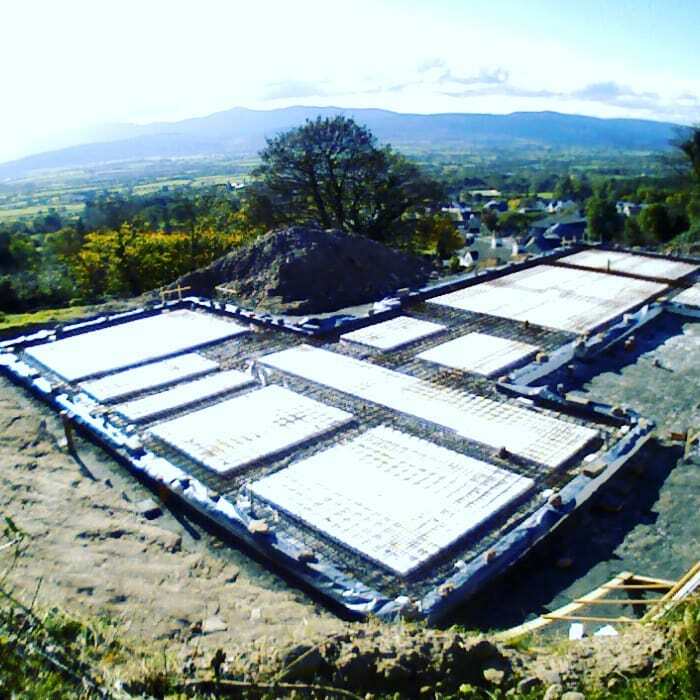 • Raft Therm is a fully insulated foundation system that can achieve U values to meet passive house standards. • Raft Therm an efficient solution that delivers build programmers on time, concrete foundations and floors are poured simultaneous while rising walls are eliminated. 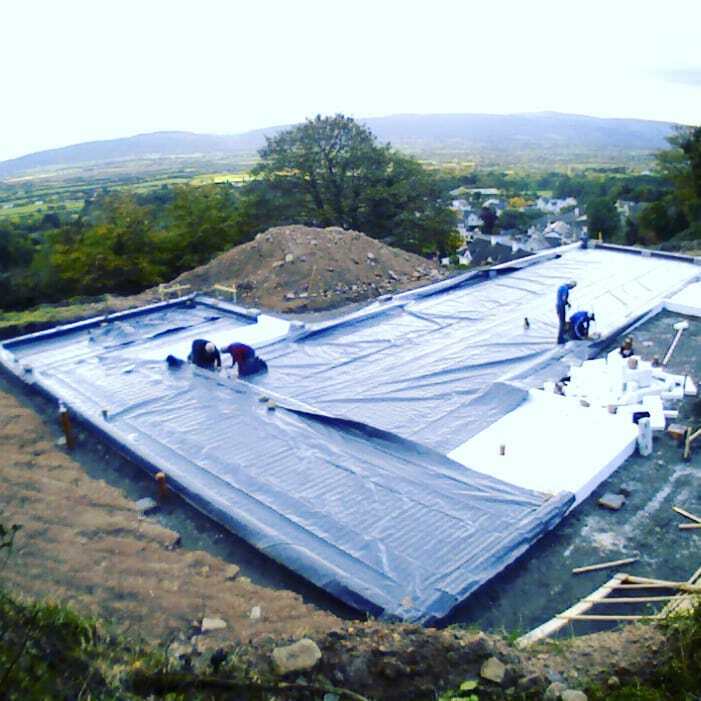 • Raft Therm suitable for use in conjunction with various wall types including masonry, timber frame, light gauge steel and ICF. 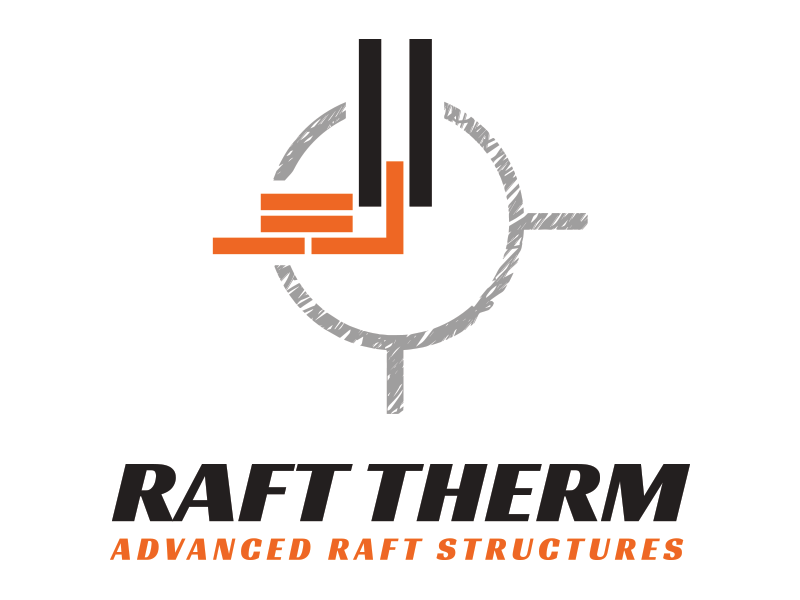 • Raft Therm components are pre-formed in our factory requiring minimal preparation on site. 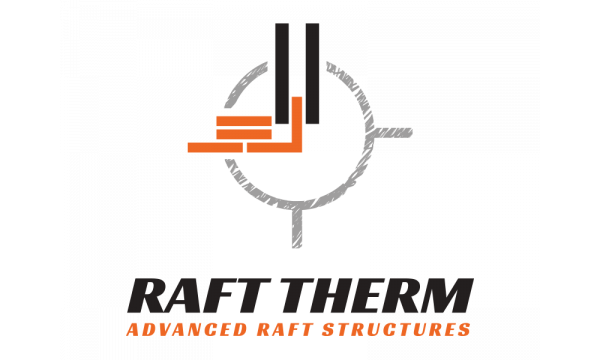 • Raft Therm is comparable in price to traditional foundations offering exceptional value with superior thermal performance. 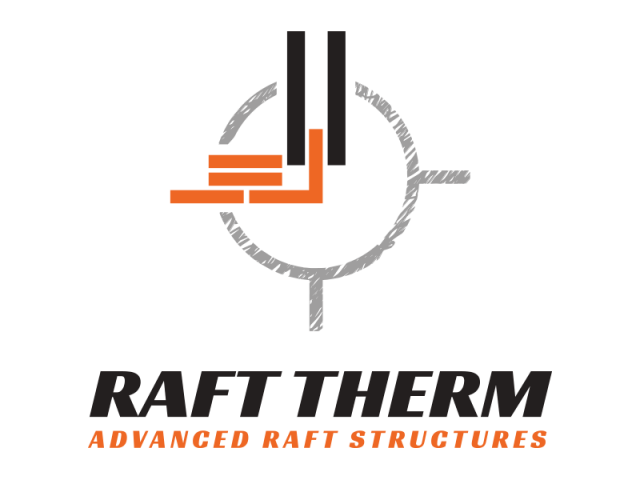 • Raft Therm utilizes the thermal mass of concrete by absorbing and retaining heat when the building is warm then releasing this heat back into the building as it cools thereby maintaining a more constant temperature. • High scoring Psi value reduces risk of condensation occurring at floor/wall junction. • Suitable for use with underfloor heating systems. • A permanent and sustainable insulation solution that requires no maintenance, unlike walls and roofs it is virtually impossible to retrofit insulation underneath or around foundations and floors. • Suitable for residential and commercial applications. • CE marked- manufactured to harmonized technical specification EN 13163:2012+A1:2015. • Makes commercial sense because it delivers lower U and Y values in the ground floor structure thereby reducing the requirement to score costly SAP points elsewhere in the structure. • Lightweight and easy to handle with no specialized equipment required for assembly. 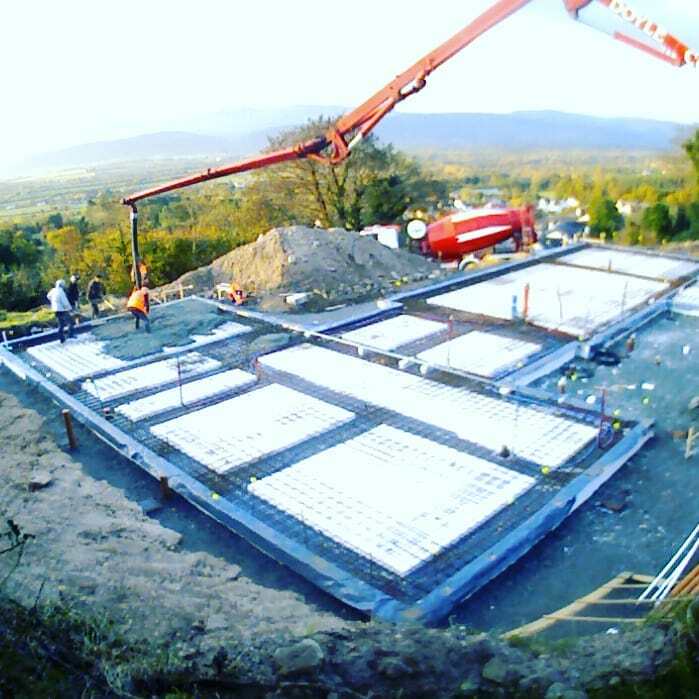 Raft Therm is an insulated foundation system used in the construction of residential homes and commercial buildings. 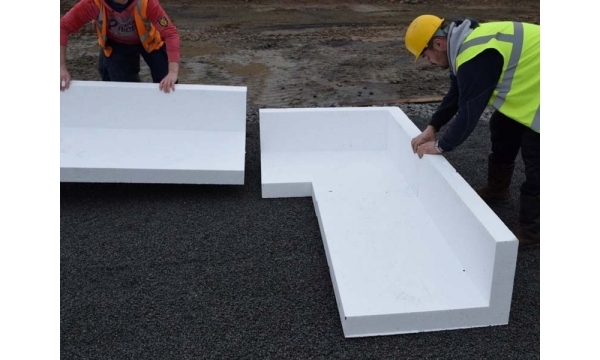 Reduced cold bridging and exceptional U values as low as 0.1W/m²K are achieved by wrapping the sides and underneath of the concrete foundation and ground floor in a continuous layer of high density Expanded Polystyrene (EPS). 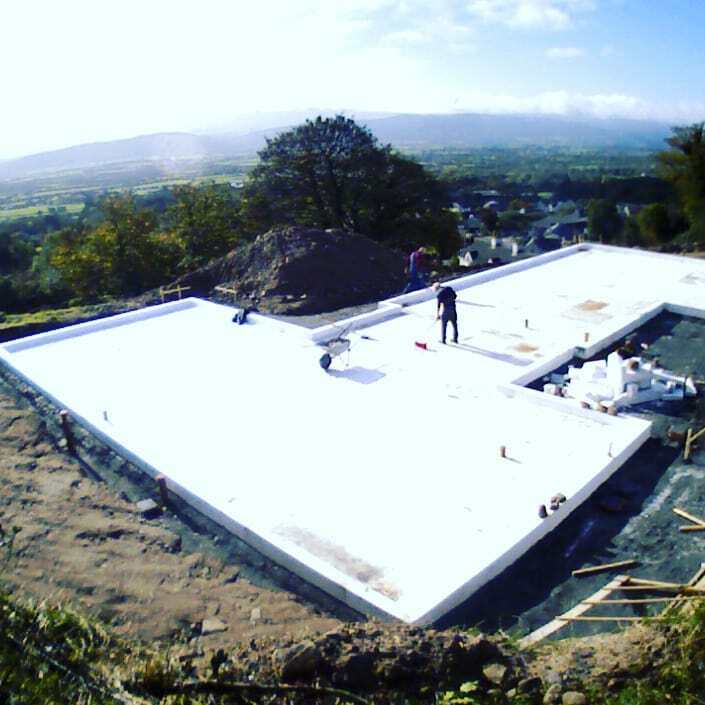 The system is a cost effective construction product which permits simplified design with high insulating values and long term durability. 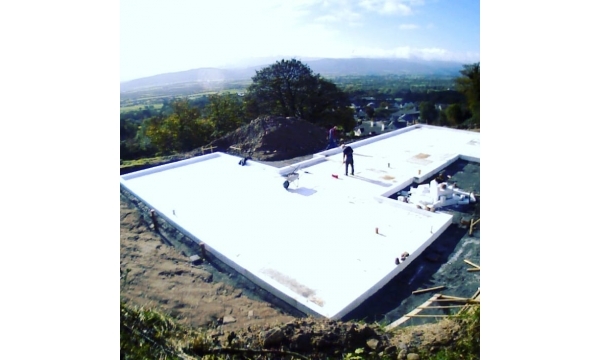 The combination of high density polystyrene and reinforced concrete delivers an engineered foundation and ground floor element that has excellent thermal performance capable of achieving passive standard. 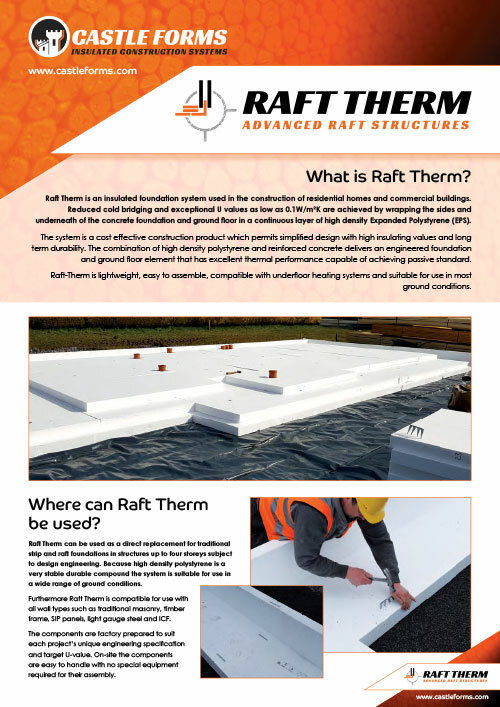 Raft-Therm is lightweight, easy to assemble, compatible with underfloor heating systems and suitable for use in most ground conditions. 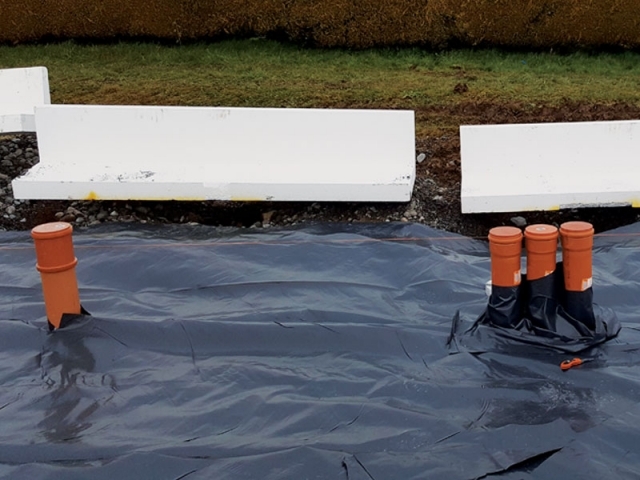 Raft Therm can be used as a direct replacement for traditional strip and raft foundations in structures up to four storeys subject to design engineering. 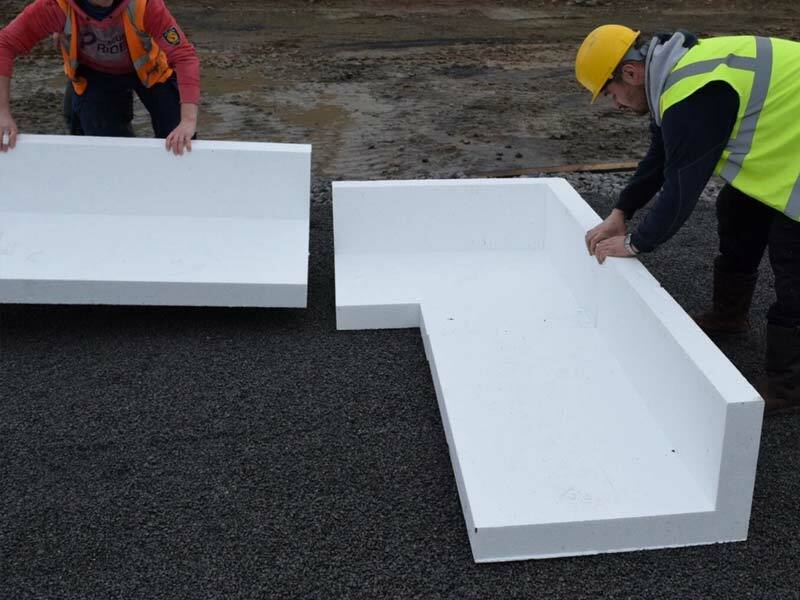 Because high density polystyrene is a very stable durable compound the system is suitable for use in a wide range of ground conditions. 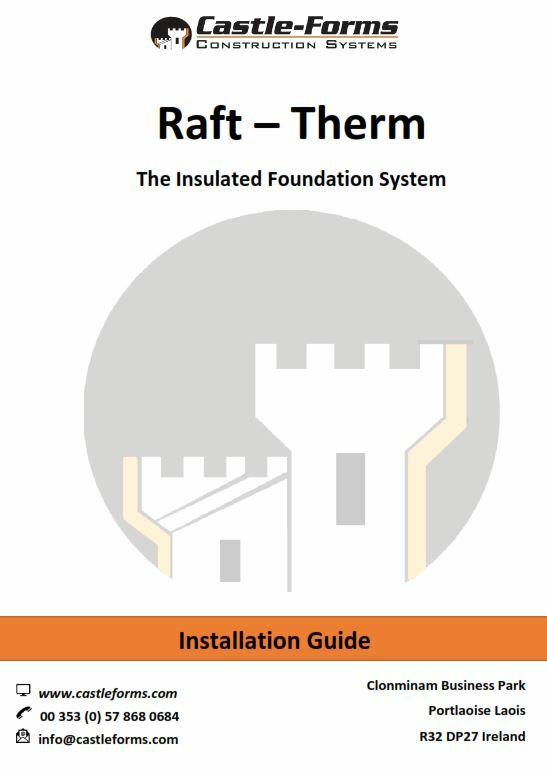 Furthermore Raft Therm is compatible for use with all wall types such as traditional masonry, timber frame, SIP panels, light gauge steel and ICF. The components are factory prepared to suit each project’s unique engineering specification and target U-value. 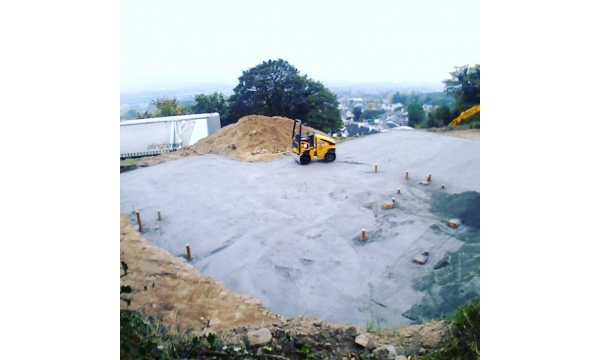 On-site the components are easy to handle with no special equipment required for their assembly *. *See installation guide for assembly instructions. Traditional concrete strip and raft foundations are in direct contact with the ground which has two major drawbacks. 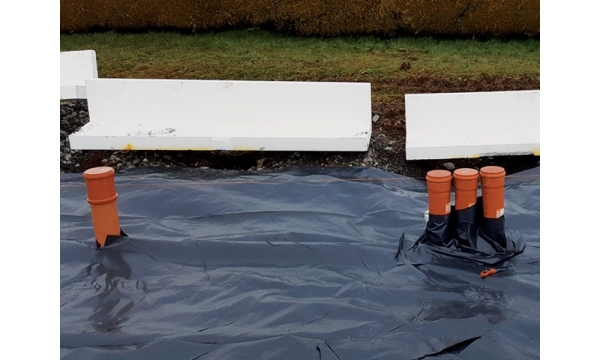 • Firstly, cold bridging occurs through the rising walls which causes significant heat loss at the floor / wall junction. 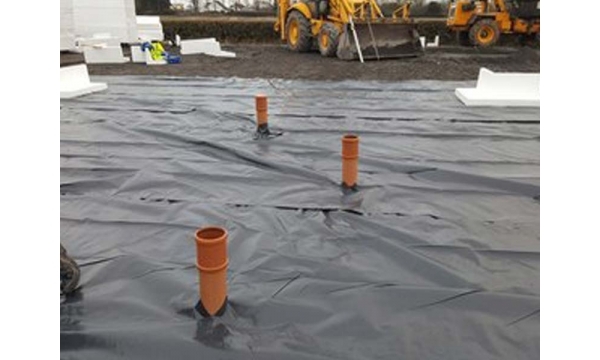 It is estimated that up to 30% of a dwellings total heat loss occurs through the ground floor and at cold bridges. 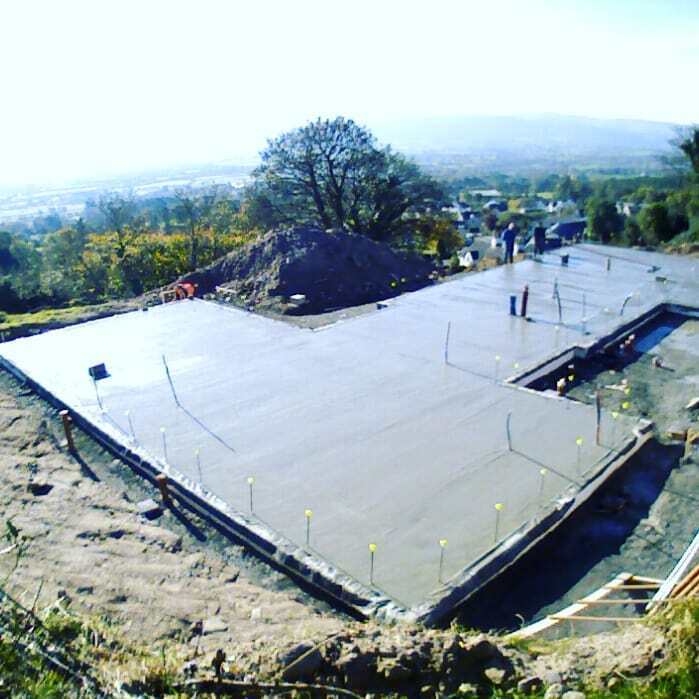 • Secondly the thermal mass of the concrete foundation and floor is constantly colder than the building which has the effect of drawing heat from within the building. With Raft Therm a permanent layer of insulation separates the concrete foundation and floor from the ground while a further layer of insulation wraps the external edge of the foundation on all sides. 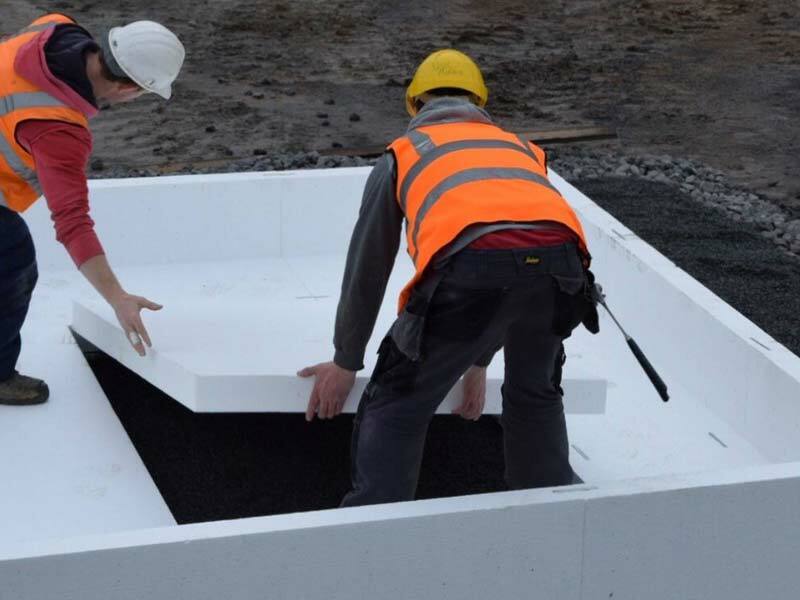 Because polystyrene is an excellent insulant, heat loss is significantly reduced over this whole critical area. 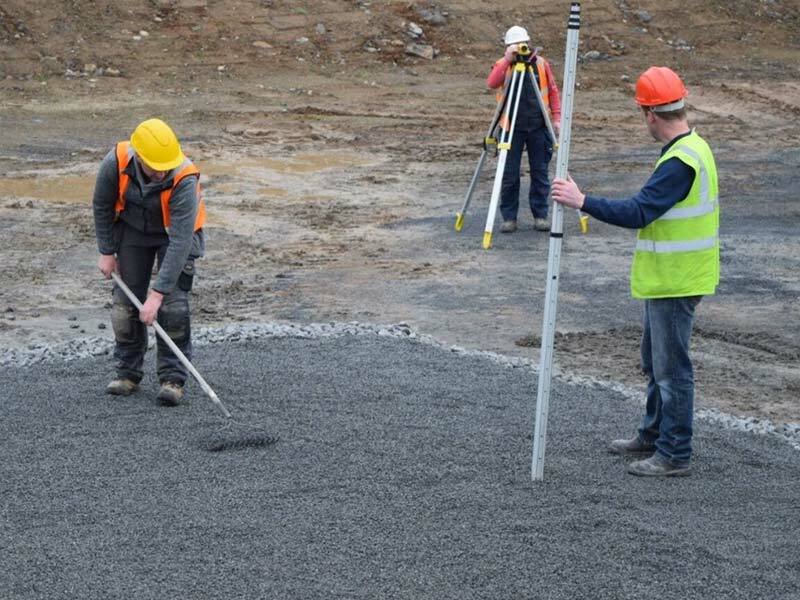 by estimating the compressive strength at 120kPa or Kn/m²**. 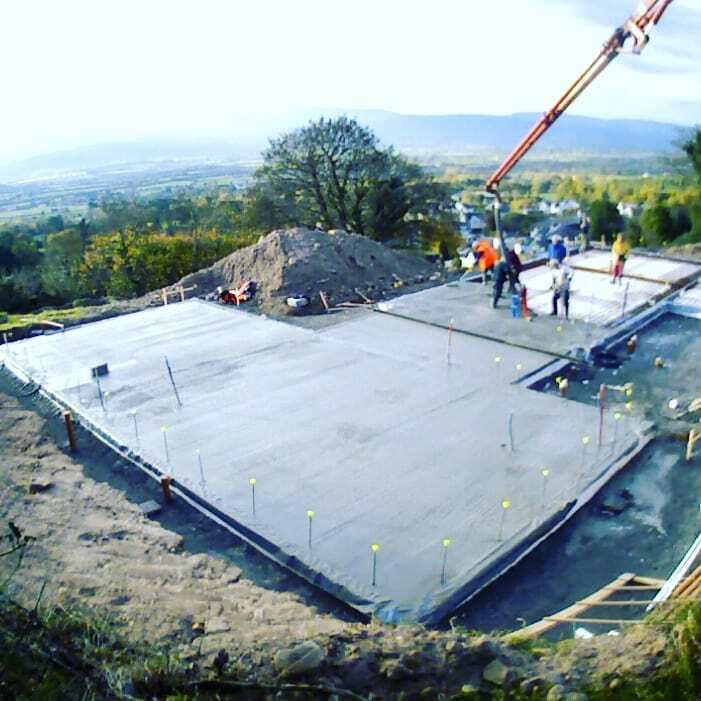 The typical loading from a three storey house built using concrete block is between 76 and 98 kPa** which makes Raft Therm suitable for residential and commercial use. 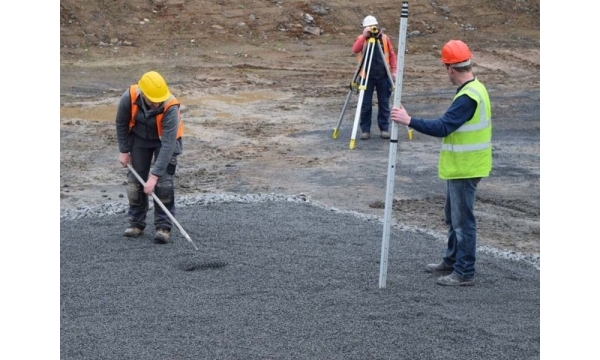 **Indicative figures only and advice should be taken from a suitably qualified engineer. 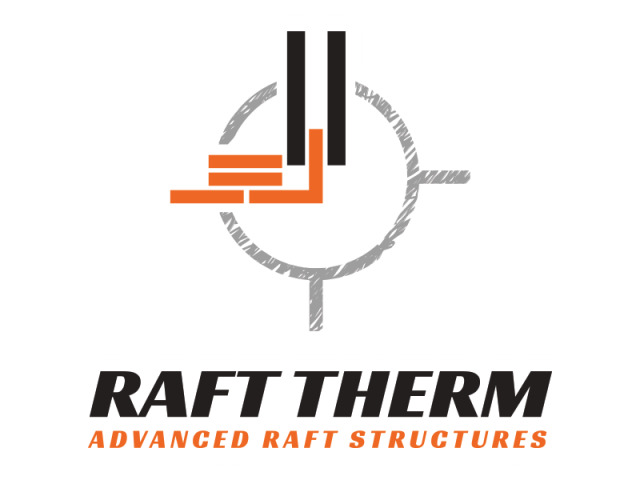 The Raft Therm system provides multiple benefits to the developer, builder and home owner. 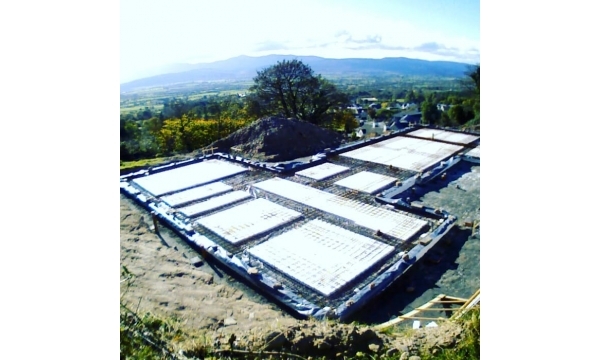 It's flexibility in design, robustness and ease of construction and performance over the life of the building all demonstrate the value inherent within this innovative foundation system. 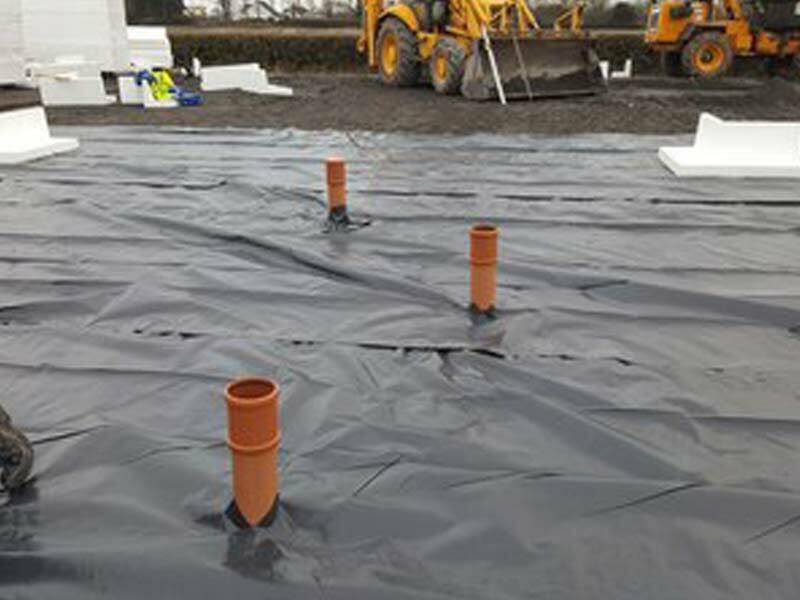 and floor sheets are typically supplied in 2 meter lengths. 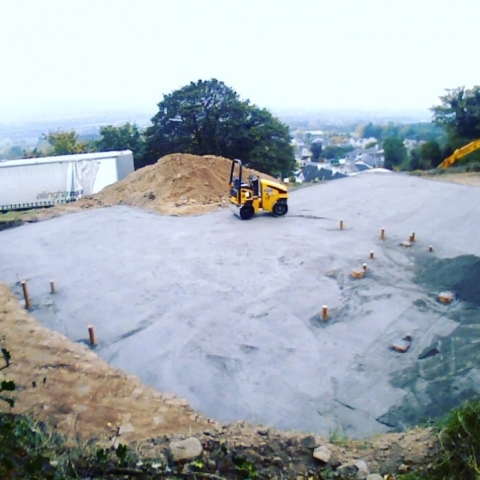 Onsite the footprint of the building is marked out and a flat surface prepared with drainage, DPC***and services installed as per the project engineer’s instructions. 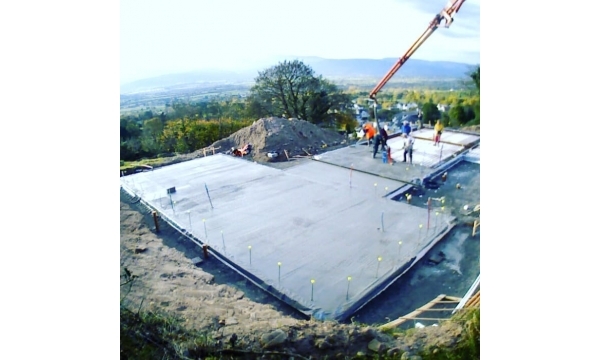 Because of the lightweight nature of the components the system is quickly assembled without the need for any lifting equipment. 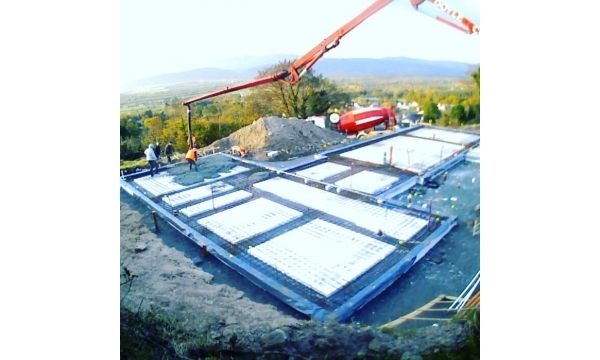 L shaped components create a shuttering profile for the concrete edge beam located at the external loadbearing walls. 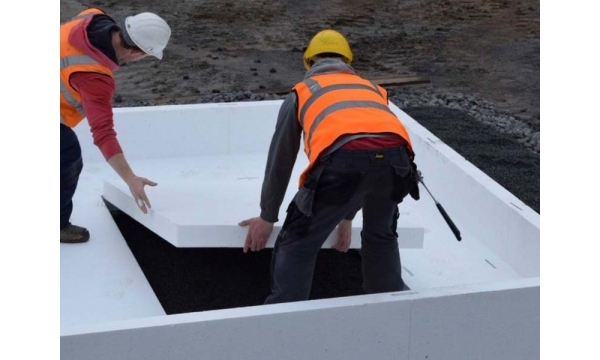 Flat EPS 100 sheets are placed underneath the floor area while higher density EPS 300 flat sheets are carefully fitted underneath internal loadbearing walls where the concrete slab is usually thickened. 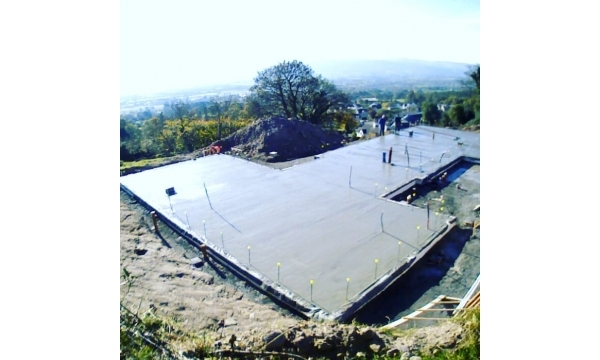 Once assembled the components are secured with steel combs and plastic pins, steel reinforcing and heating pipework are fixed and concrete placed to floor level. The combination of High density EPS and reinforced concrete delivers a super-insulated sustainable structure onto which walls are constructed. 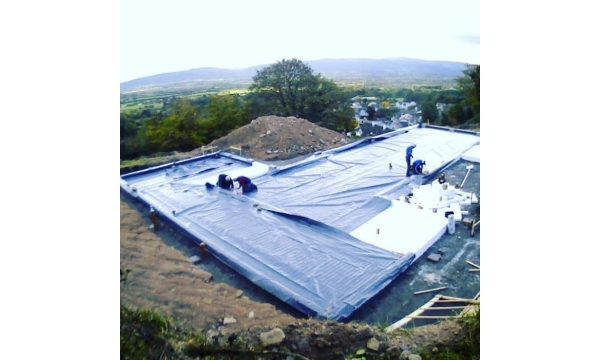 *** Instruction should be taken from project engineer and / or manufacturers specification as to the preferred location of the DPC/gas membrane. A building with a well-balanced U value, good air tightness and carefully designed junction details will deliver a high thermal performance and require less energy to heat. specific on actual component performance levels, the notional specification requires floors to achieve 0.13W/m²K. 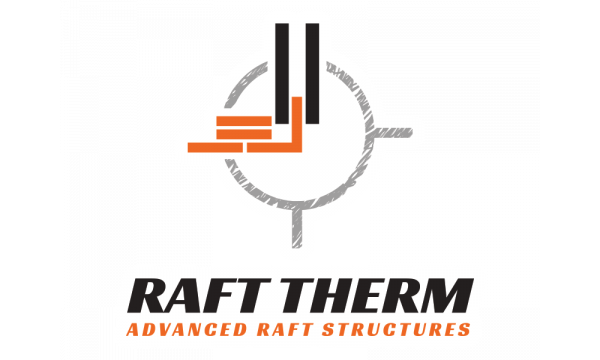 Raft Therm's ability to typically achieve U values of 0.1W/m2K and lower, subject to design, make a great contribution to achieving the regulatory performance and make it suitable for low energy housing and enhanced Passive standard detailing. Measuring the thermal transfer or conductivity of heat for every linear meter at a thermal bridge is referred to as the Psi value (W/mK). The psi value measures the extra heat flow through the linear meter over and above that of the adjoining elements (floor and wall). The psi values for any given junction are multiplied by the lengths of those junctions to give the total HTB (Heat Thermal Bridge) which is then divided by the total m² of the envelope (walls, floor, roof) to calculate the buildings Y value. The Standard Assessment Procedure (SAP) applies a default value of Y 0.15 to all junctions if modelled Y and Psi values are not available. 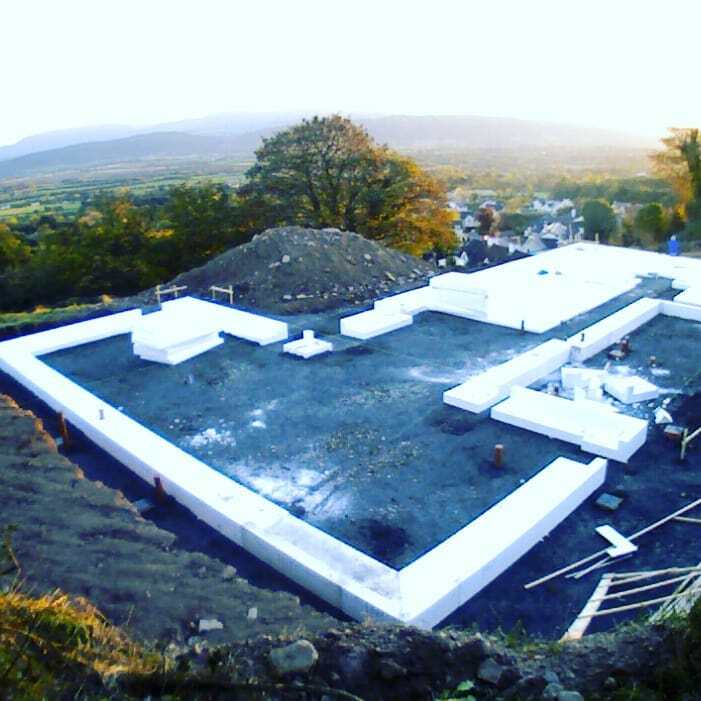 CastleForms Raft-Therm details have been modelled by a qualified Thermal Modeller and certified Psi values are available for these foundation details. These Psi values can be used in y-value calculation method 2 in appendix K of SAP 2012 to determine the y-value on any building using these details. Furthermore, because the Psi values achieved by Raft Therm are better than the “Approved” Psi values in table R2, it can be assumed that, provided all other details in the building are also equal or better than the “Approved” details, the overall y-value will meet or surpass the reference building y-value of 0.05w/m2k referenced in table R1 of SAP Manual 2012. 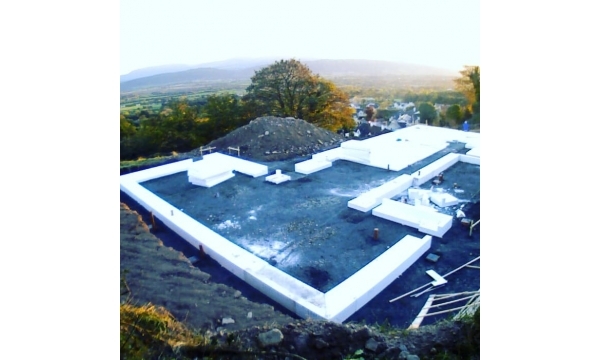 A lower y-value reduces the requirement to make up SAP points in more costly areas of the structure by adding additional insulation or renewable technologies. Copyright © Castleforms . All Rights Reserved.